Choose an experienced asphalt paving company. 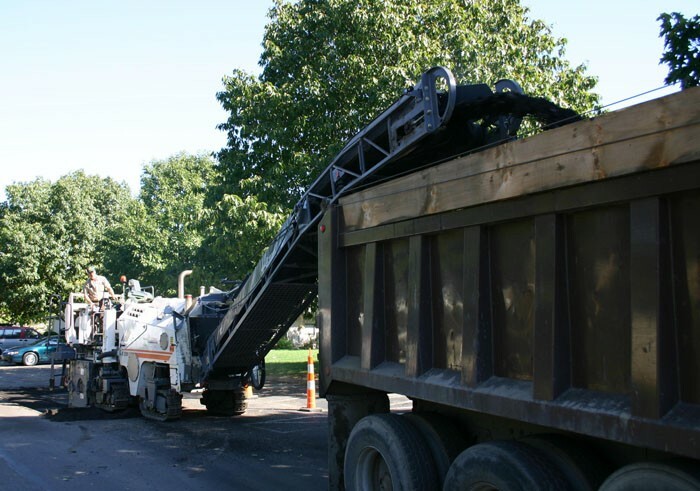 With four decades of experience, Heiberger Paving, Inc. is the leading asphalt paving contractor in Columbus, OH. Our surfacing experts offer a number of options for your new build project or rejuvenating your existing asphalt. Whether you need to repair, restore, or expand your parking lot, you can rely on Heiberger Paving, Inc. to put your satisfaction first. Recognized as one of the premier commercial paving contractors in Central Ohio, Heiberger Paving earns its reputation through unparalleled workmanship and exceptional service. Our crews work daily to ensure that your project is completed as efficiently as possible while complying with ODOT specifications. Asphalt is a durable, resilient, and recycleable material. It's been used to pave roads for roughly 150 years in the United States. Well-maintained asphalt can last many years. However, several factors contribute to pavement deterioration. Improper installation and standing water are the primary causes of pavement breakdown. Temperature changes, heavy pressure, sunlight, and harsh chemicals can also destroy asphalt. Heiberger Paving, Inc. can assess your asphalt problem quickly and advise you on the correct repair method to extend the life and improve the look of your paved surface. Compromised asphalt does not always require a complete repaving. We can assess your pavement and determine whether resurfacing is a viable option. A pavement generally consists of these layers: a sub-base, base, and surface layer. In many cases, the sub-base and base may still be in good condition. Resurfacing saves a considerable amount of money by paving a layer over the existing surface. Asphalt resurfacing is accomplished by first addressing existing damage, making appropriate repairs, and installing an additional layer to the blacktop. Different types of problems such as settling, drainage, cracking, or deteriorating areas are resolved in different ways. If ignored, these issues could affect the new surface. Milling lowers the existing surface to accommodate additional thicknesses of asphalt while still maintaining proper curb reveal. Drainage problems can also be corrected by contouring with a milling machine. We have mulitple milling machines capable of high-production grinding of up to 48 inches wide and 12 inches deep. Milled asphalt is recycled and processed into new paving materials making it a green choice. Patching can be a more economical choice than completely resurfacing. Broken or deteriorated areas are cut-out or milled; some areas may require more excavation. Cavities are patched with hot asphalt which is then compacted. All joints are then sealed with tack coat or hot rubber. From excavation to the final surface and striping, you can rely on us to install your asphalt surface with precision. Heiberger Paving, Inc, will build your asphalt surface from the ground up. We achieve strict paving tolerances by using some of the most advanced equipment in the industry. Our laser guided pavers and superior compaction rollers, can exeed ODOT requirements for your project. We are a proud to installer of KMI Kokosing Materials .